Many common names of black cohosh include “bugbane,” since the unpleasant-smelling flowers tend to repel insects. 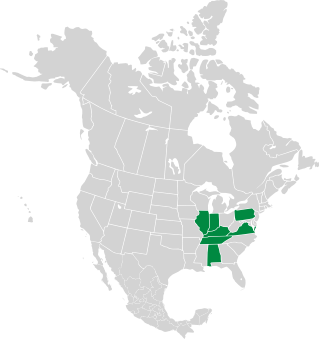 This is a North American native. 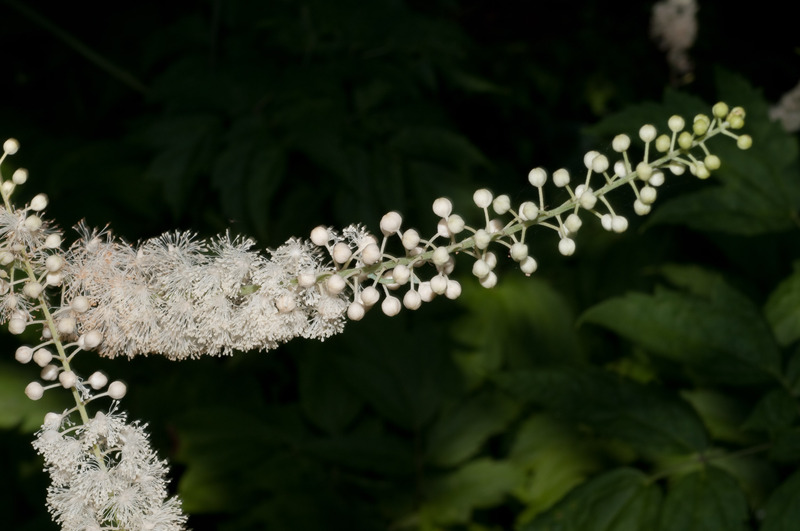 What’s a cohosh? A native American word for rough—a reference to the bumpy roots. See also the unrelated plant blue cohosh. Identification: Plants are 3-6' (91-182 cm) tall, rarely to 9' (2.7 m); and fast-growing. 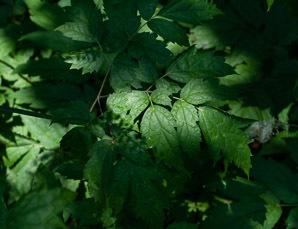 Leaves are toothed, irregular in shape, in roughly triangular clusters tipped by a larger three-lobed leaflets. Leaflets are 1-4" (3-10 cm) long. The ill-smelling flowers form long, attractive, feathery-looking spikes 6-24" (15-60 cm) long—hence the name “fairy candles.” Individual flowers have 4-5 sepals and are about ⅜" (9.5 mm) in diameter. Fruits are ⅛-¼" (6-9 mm) long, thick, and leathery. Plant Plants reach 10-24" (25-60 cm). Plants are 3-6' (91-182 cm) tall, rarely to 9' (2.7 m); and fast-growing. Plants are 12-55" (30-140 cm) tall. Long, attractive, feathery-looking spikes 6-24" (15-60 cm) long. Individual flowers have 4-5 sepals and are about ⅜" (9.5 mm) in diameter. 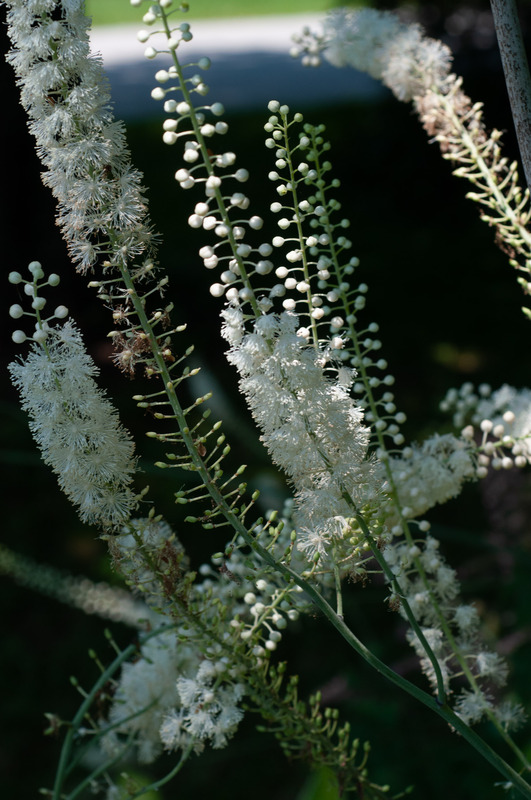 White flowers form long, attractive, feathery-looking spikes 6-24" (15-60 cm) long, straight or slightly curved. Individual flowers have 5 sepals and are about ⅜" (9.5 mm) in diameter. Leaves Leaves often occur in groups of three, on thin stems, and are saw-toothed. Toothed, irregular in shape, in roughly triangular clusters tipped by a larger three-lobed leaflets. Leaflets are 1-4" (3-10 cm) long. Toothed, shaped like maple leaves. Leaflets are 6-12" (15-30 cm) long. Fruit Black or dark brown seeds. Fruits are ⅛-¼" (6-9 mm) long, thick, and leathery. Fruits are ⅛" (3 mm) around, and reddish brown. Plant Plants are 12-24" (30-60 cm) high. Stems are light green, sometimes furrowed. Flowers Small clusters, greenish-white, not especially interesting. Leaves In groups of three, and are less than 3" (7.6 cm) long. Fruit Seed pods are about ½" (1.3 cm) in diameter, and resemble burrs, with small hooks. Medical: Native Americans used extracts of this plant as analgesics, sedatives, or anti inflammatory drugs; for example, in the treatment of snake bites. 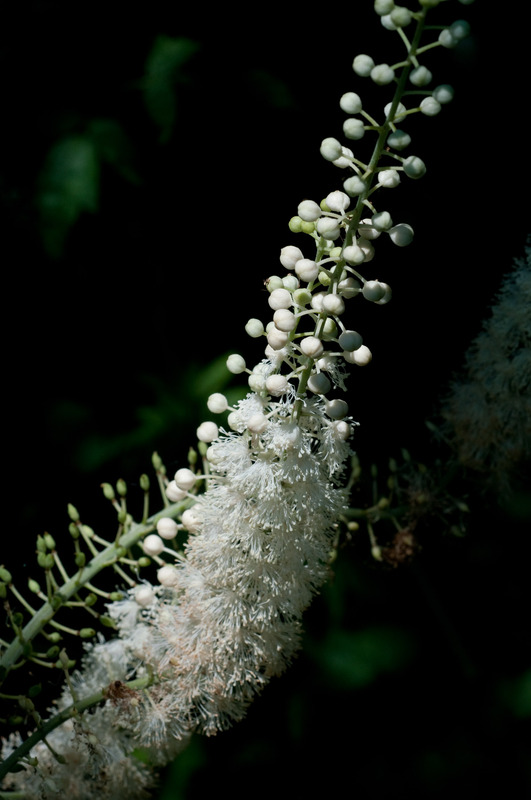 Black cohosh is used by some today to relieve menopausal symptoms, but there are no rigorous studies to support this. See HerbMed for information on clinical studies of black cohosh. Actaea racemosa var. 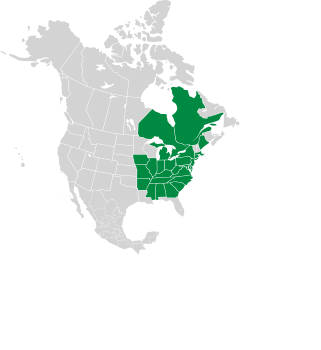 racemosa description by Thomas H. Kent, last updated 2 Jan 2019.